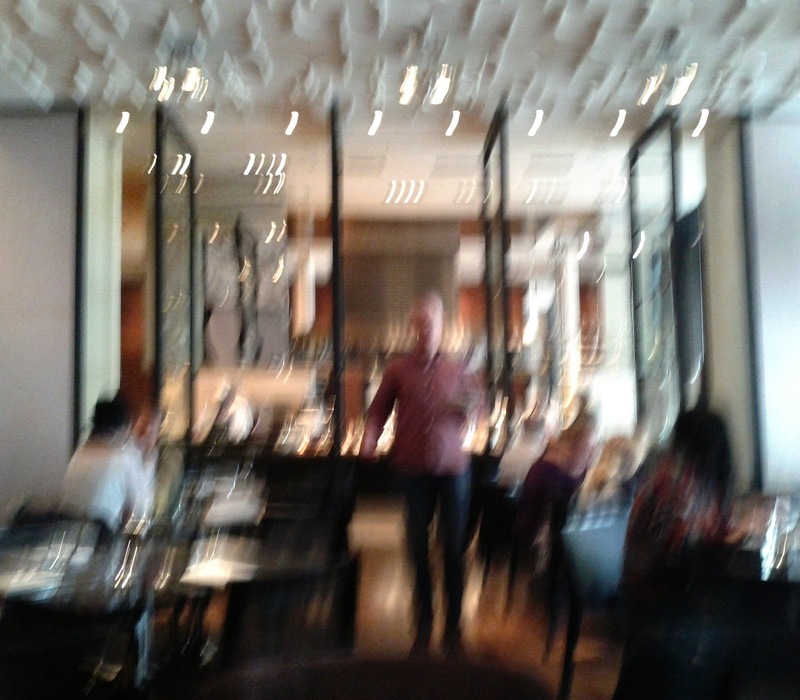 Up on the first floor of the Grand Hyatt, over looking Russell Street, but accessed from the Collins Street entrance, Collins Kitchen claims to offers "Melbourne’s finest lunchtime feast" a buffet where one can select from the "different food stations, including Grill, Wok, Sushi, Deli and Patisserie". The high ceilinged dining room, was bright, elegant and stylish, not quite matched blurred snap and has views into the kitchen area. We visited on a Friday lunchtime and there quite a few other tables occupied and there was a pleasant buzz about the place. 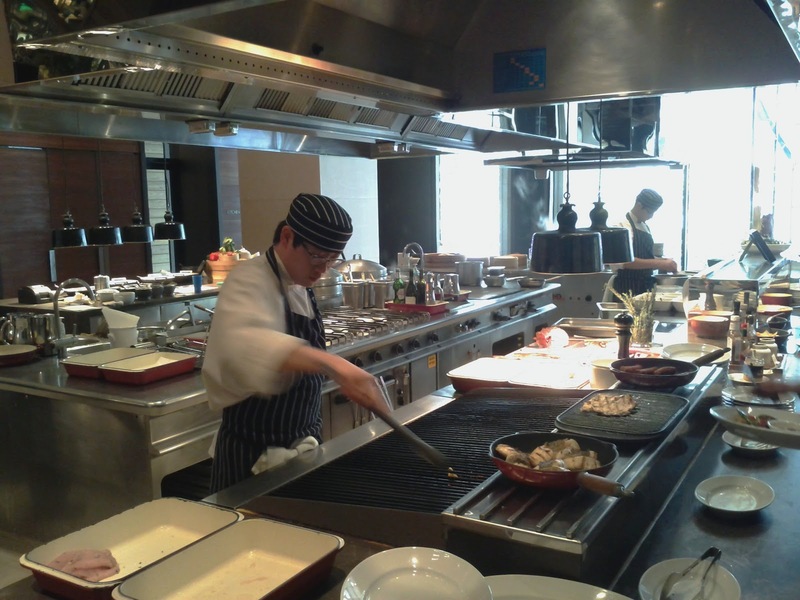 The various stations in the kitchen were completely exposed, and showcased the chefs when they were at work. Hitting the cold selection first, I picked up a slightly random combination of sushi, octopus, smoked salmon, red caviare oysters and cornichon. 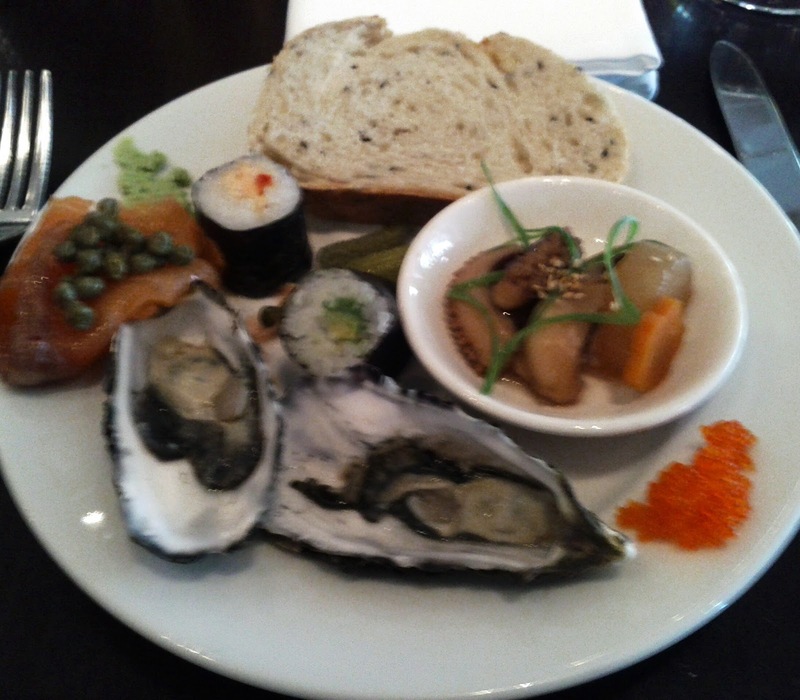 The oysters were a little on the small side but nothing else disappointed. 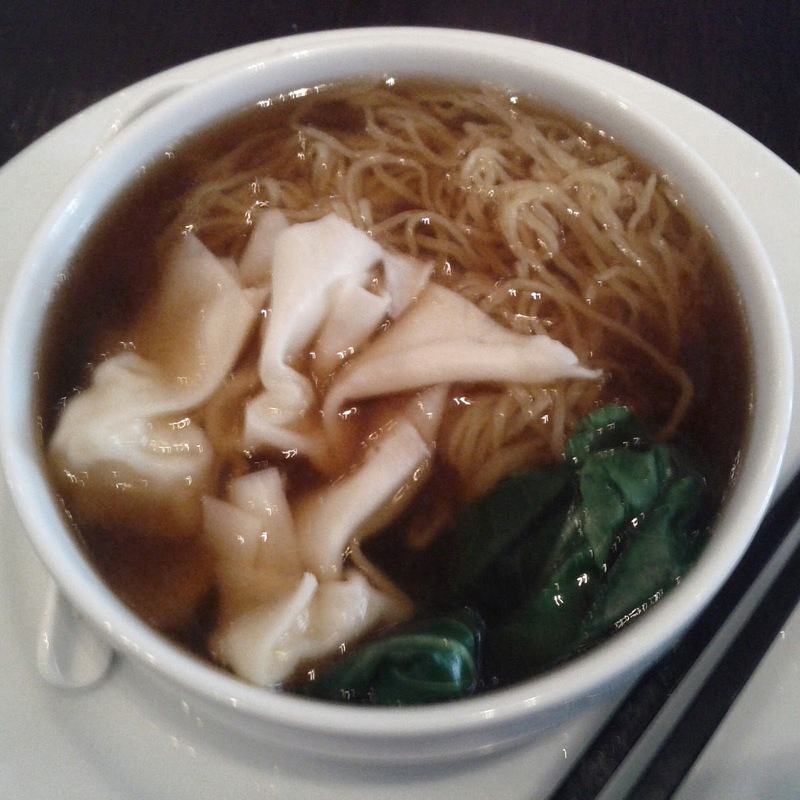 Moving on to the hot food, I had another hodgepodge plate, including pizza, dumplings and fish, before trying the Prawn wonton soup which was the only dish I had prepared before me, which was a simple combination of noodles, stock, greens and the wontons. It was probably the visual and culinary highlight of the meal. 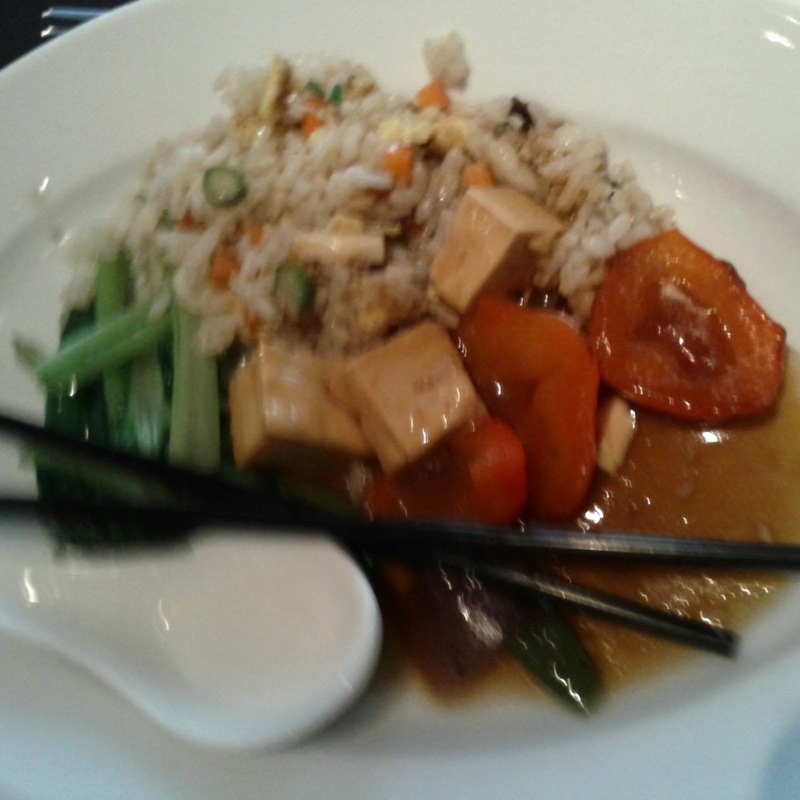 I also tried some further asian offerings 'from the wok', beautifully plating some stir fried greens, braised tofu and veggie fried rice for myself. They tasted better than I made them look. I don't normally partake of desserts when out, as I try t steer clear of saturated fats where possible, however with the wonderful selection on offer I had to try a few. 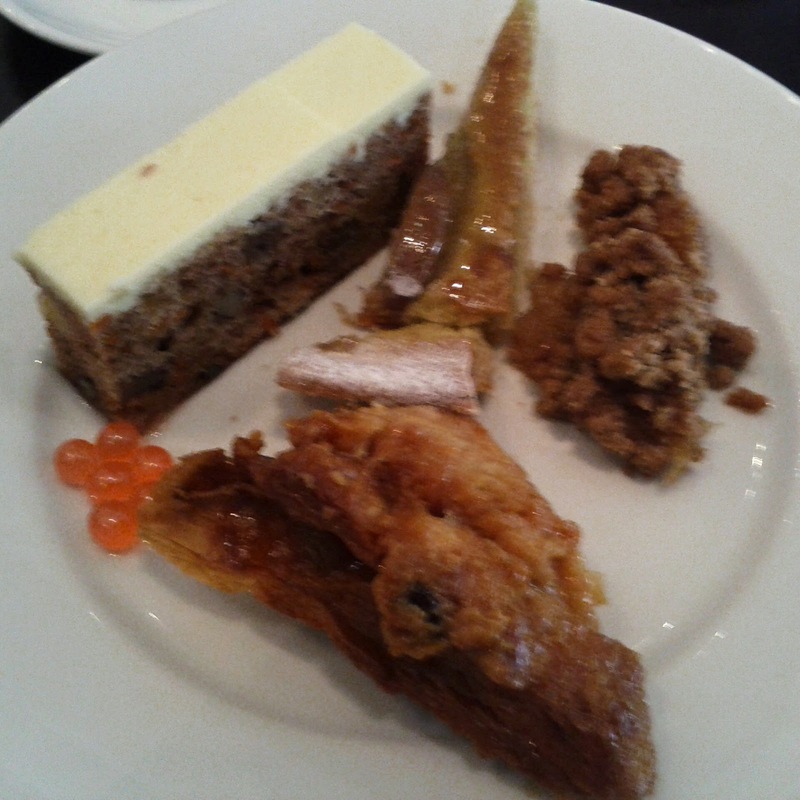 The highlight for me was the pear tart, although the carrot cake, apple crumble, bread and butter pudding were also all great.